We understand that writing a business plan can be a daunting experience. You have a great idea, loads of experience in the industry, but you’ve never had to produce a document like this before…Don’t worry! We’re here to help you create a business plan that is well structured to aid you in securing the financing you may need to get your business off the ground. We’ve created a process that is easy to start AND finish. We’ve simplified our business plan writer to the bare minimum to start. 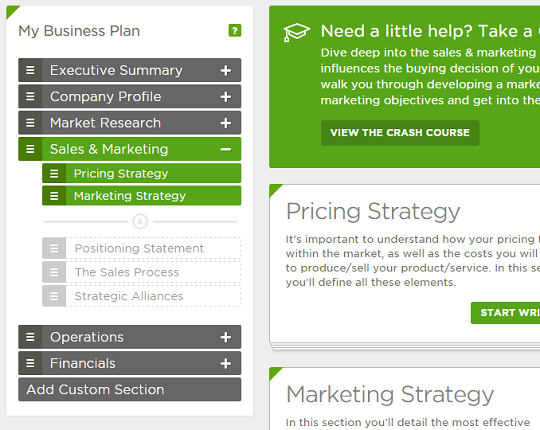 As needed, you can drag and drop additional sections into your plan.